Film legend Alan Ladd heads up a superior cast in this riveting, heart-pounding tale of crime and punishment. 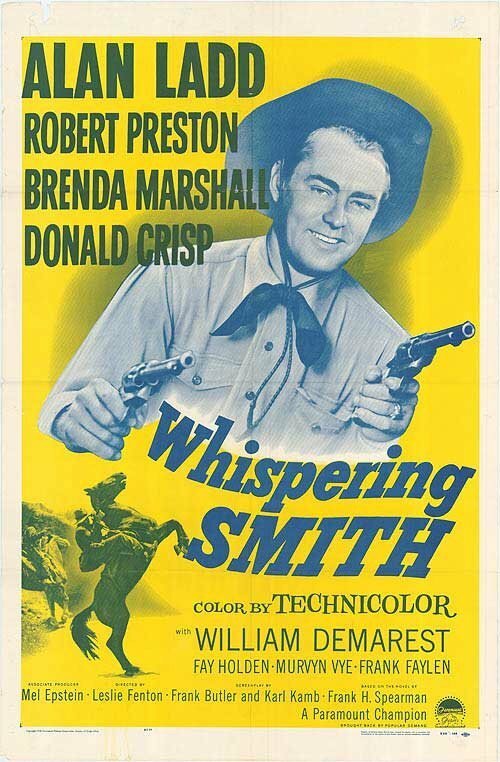 Luke "Whispering" Smith (Ladd) is a by-the-book, no-nonsense railroad detective who learns his friend, Murray Sinclair (Robert Preston) , has been fired from his railroad job. Seeking vengeance, Sinclair begins helping outlaw Barney Rebstock (Donald Crisp) wreck trains. Now, Smith must find and bring his old friend to justice... at any cost, in this suspenseful adventure filled with pistol-packing action.